We made it through another cold Monday and here we are inching our way to Friday with a grin and a tickle. Take some time to unfreeze and spin down with these snaps. This is the world’s largest hat, it is 700 feet long and was created in 1977 in Germany by Ginny Woodward and Scott Hadley. The hat is so long that it was used as advertising for many local businesses back in 1977. Of the 539 different ad panels that were knitted into the hat only 25 of them still exist today. Then buy a plate to throw. 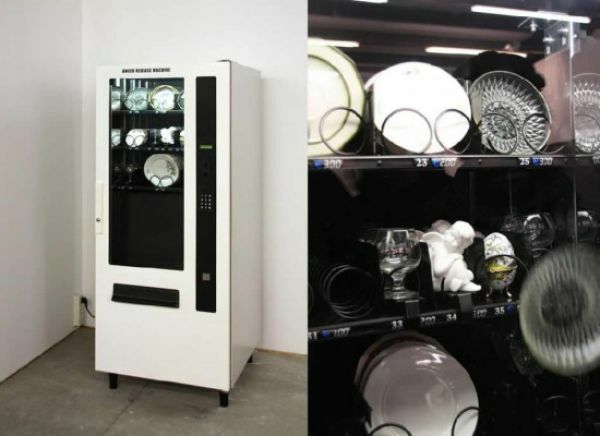 This vending machine offers you glassware that you can buy and pitch to offset your anger issues. The therapy is called destruction therapy and the machine in protype is praised as one way to offset your demand for stress release. 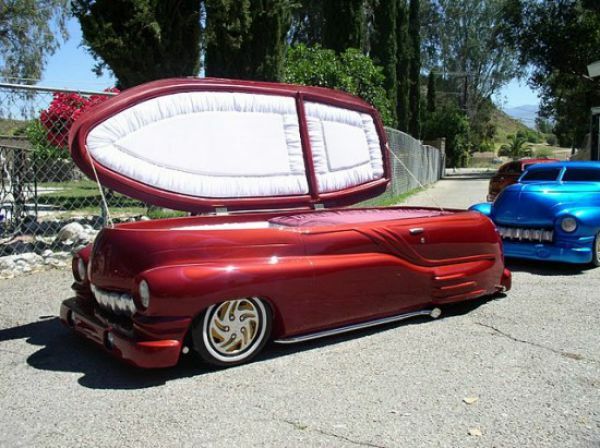 These new coffins will help you drive right into the afterlife. 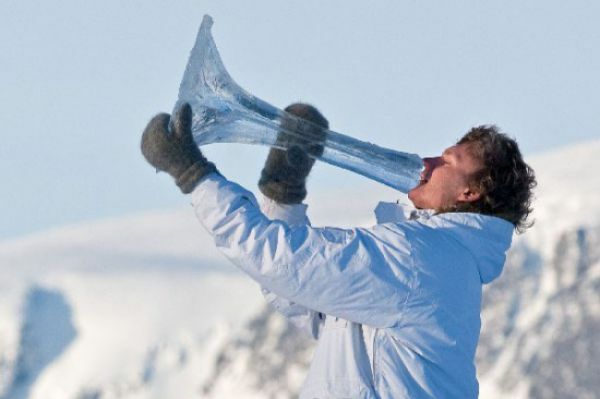 Terje Isungset is one of the world’s most talented musicians and he proves it by playing instruments created out of glacier ice. This bed in the river is rust red and fast flowing. 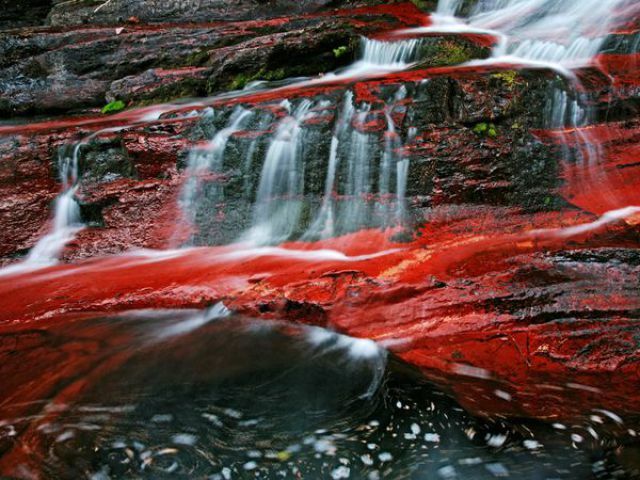 The color is created by the iron rich rocks in the water. 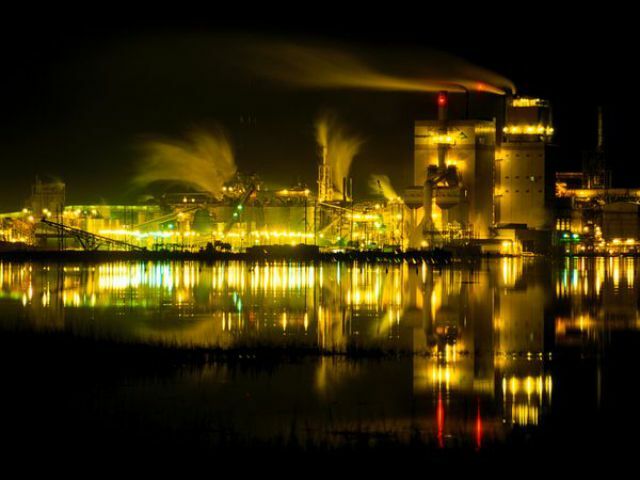 This time lapsed photo captures the wispy smoke and steam in the yellow glow of the Georgia Pacific paper mill in Brunswick, Georgia. 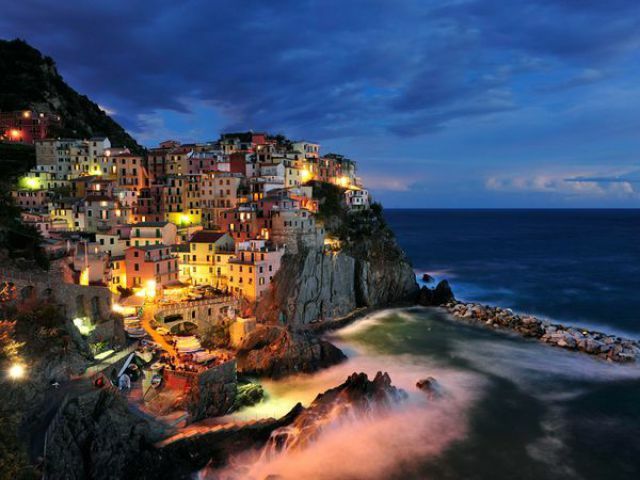 This gorgeous shot is of the tiny village of Manarola on the Cinque Terre coast of Italy. 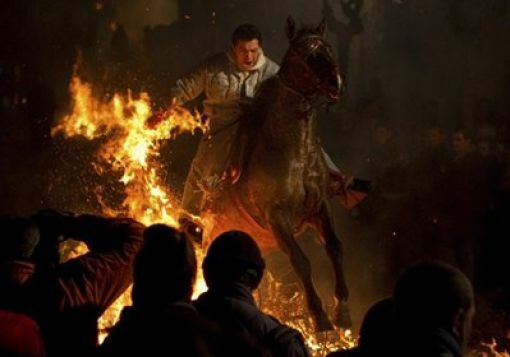 A man rushes his horse through the flames in San Bartolome de Pinares, Spain during the Saint Anthony festival. St. Anthony is the patron saint of animals. 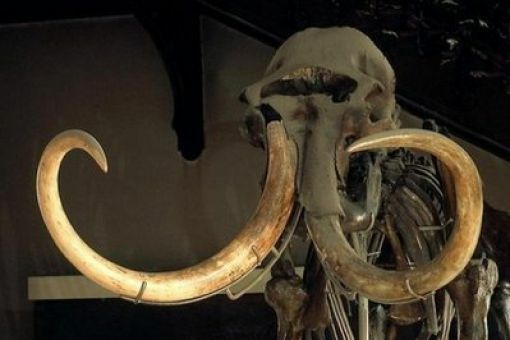 Japanese researchers will try to recreate this prehistoric mammoth using cloning technology. They will try and resurrect the huge ancient pachyderm back to life in roughly five years time. I know this isn't a very important story, but PLEASE get your facts straight. That picture of the ski hat is from Sandpoint, Idaho, not Germany. 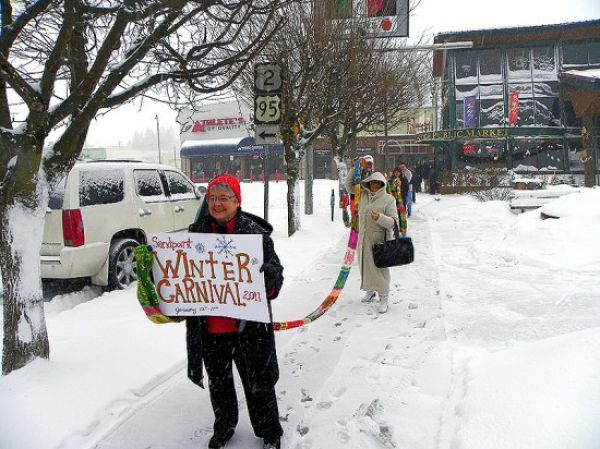 "A 700-feet-long knitted ski hat, made in 1977, by Ginny Woodward, was recently showcased during Sandpoint’s Winter Carnival. The world’s longest ski hat features 539 advertising panels of local business from around Sandpoint and Bonner County, in 1977. Out all these, only 25 are still around today." I only clicked for Popeye.